Because makeup is for everyone. Rihanna launched her first set of products for Fenty Beauty this year, and one of them is the Pro Filt'r Foundation that comes in 40 shades. Yes, 40. Also, it's been said that other than women of color, the singer also considered even those with albinism while creating the range. No wonder the launch broke the internet. A brand originally created for theater and film, Make Up For Ever always made it a point to create shades for different skin tones. Its cult-favorite fluid, the Ultra HD Foundation, has had an amazing lineup since its original formula's release, but in 2015, the brand decided to take it up a notch and expand to 40 shades (35 are available locally). Each shade takes undertones into careful consideration so it'll be near impossible for you not to find your match. The shades from NARS are half that of Fenty's, but the variety of foundation formula makes up for the other 20. Its Sheer Glow Foundation gives the perfect skin-like look even on oily skin, while the All-Day Luminous Weightless Foundation is one product that simply won't budge on a hot day. And if you're wondering about the concealers, those have an impressive lineup, as well! With 31 foundation shades under her Lock-It Foundation line, we know for sure that Kat wanted every makeup junkie to experience its flawless finish. FYI, the vegan and cruelty-free brand also carries a pure white foundation, because why not? Becca doesn't only excel in highlighters, it whips up a fantastic range of colors for its foundations, too. The Ultimate Coverage Complexion Creme has 20 gorgeous shades, while the rest of the brand's base products have colors for every skin profile. Oh, and all the swatches on its website and Instagram are done on light, medium, and dark skin—as they should be. 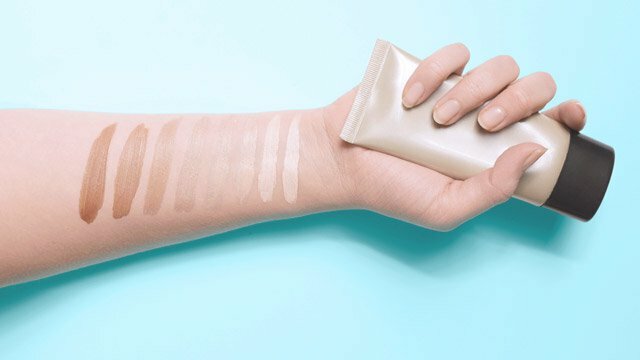 One of the first drugstore brands that stepped up its foundation game was L'Oréal in the form of their True Match Foundation. Coming in 29 shades and three different undertones (warm, cool, and neutral), finding the right shade is by no means complicated. Moreover, we love this foundation's natural finish and cakeless coverage. Maybelline's Fit Me! Foundation has achieved what was once deemed impossible for an affordable brand. Like Make Up For Ever and Fenty, the drugstore favorite now has 40 shades! And the best part? The brand recently brought the product to the Philippines and we're hoping to get new shades soon! Bobbi Brown never disappoints when it comes to base products. The brand's signature "your skin but better" effect can be achieved with no less than 30 shades for its Skin Foundation and 31 for the Skin Foundation Stick. Its pro palettes also have every shade a makeup artist needs to create a flawless canvas.